Bed and Breakfast Bushmills starting from €72 per night. Rooms are always available including breakfast, unlike on other websites such as Airbnb. 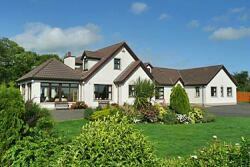 Valley View is a beautiful country house with breath-taking views of the Northern Irish countryside.